MidAtlantic DayTrips: Snow a Bonus at Winter Lights! Holiday lights just make the first snow fall even better! 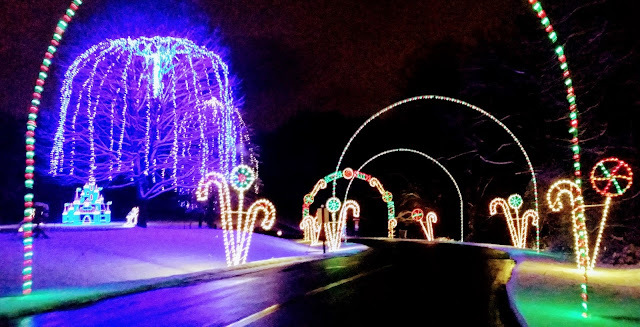 We were planning on seeing the Winter Lights holiday lights display at Seneca Creek State Park, in Gaithersburg, MD, anyway, and as the snow fell late Saturday afternoon, even debated on the intelligence of heading out on potentially slick roads as the temperature fell below freezing. With the blog in mind, we went anyway, and now we're glad we did! 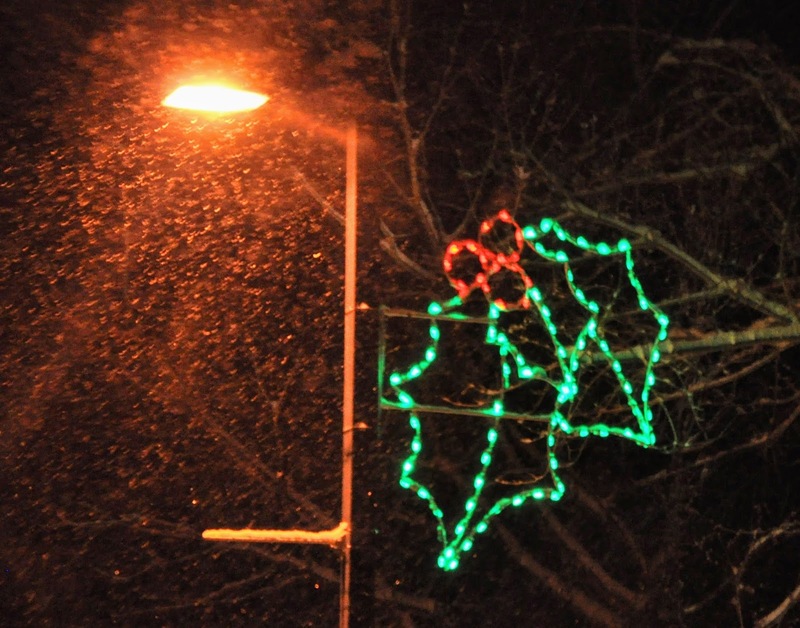 The snow reflected the lights, coating the ground with a smooth coating of white. 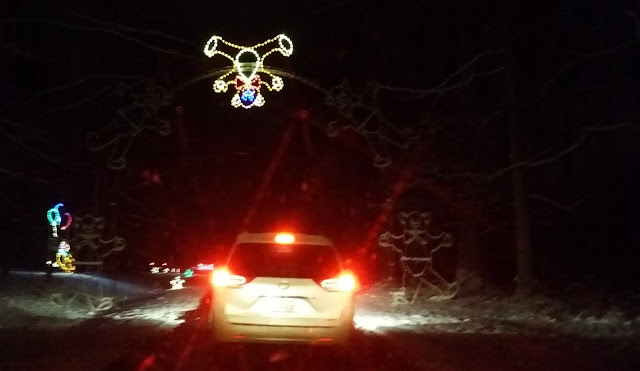 Winter Lights winds some 3.5 miles through Seneca Creek State Park. 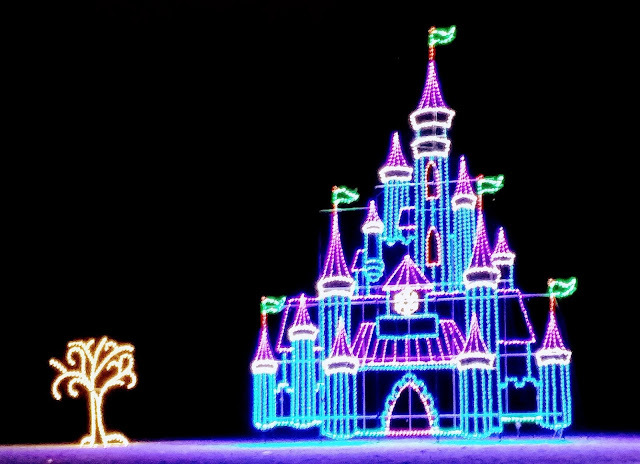 The magic of Winter Lights is how the road curves and changing landscape (wooded areas, hills) reveal its 380 illuminated displays and 65 animated vignettes. 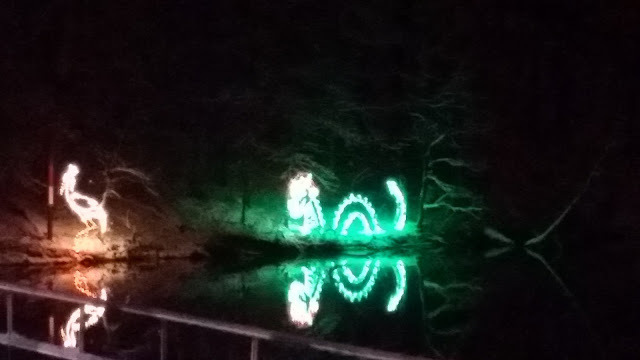 At one point, as the road traveled by the park's lake, lights displays reflected in the still lake water. Lovely indeed! 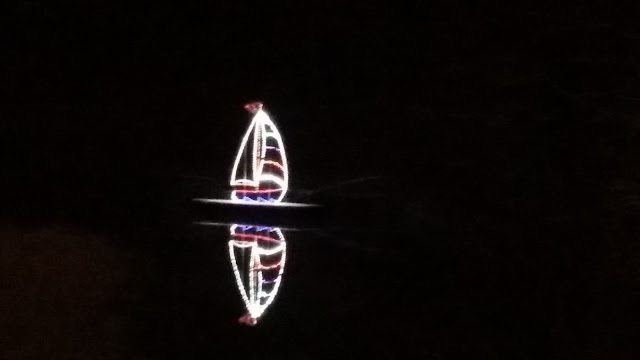 Many of the illuminated displays echo common holiday lights displays -- toyland, stuffed bears, Santa and the reindeer, and snowflakes, but look for the more unusual sailboat on the lake, the beaver cutting down trees, and the sly fox! With or without snow, this holiday lights display is one of our favorites! 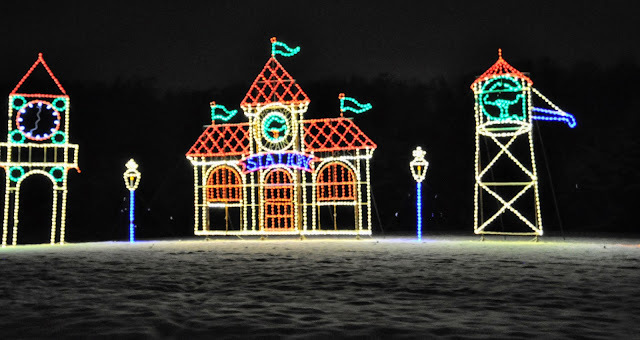 Hours: open nightly November 24 through December 31. 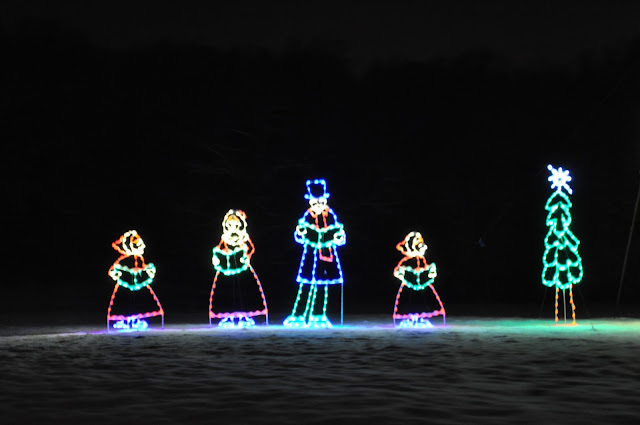 Please note that the festival will be closed on December 25. Sunday - Thursday: 6 - 9 p.m., Friday & Saturday: 6 - 10 p.m.